Lesley is a Royal College of Veterinary Surgeons recognised specialist in Veterinary cardiology and a Diplomate of the European College of Equine medicine. Though a specialist in veterinary cardiology, her case load is exclusively equine and whilst based at the Animal Health Trust in Newmarket she made significant contributions into the understanding of heart murmurs and arrhythmias in athletic horses. In recognition of her contribution to this equine cardiology, she has just been invited to participate in the recent American College of Veterinary Internal Medicine Consensus statement entitled "Recommendations for equine athletes with cardiovascular abnormalities". Lesley has been a specialist consultant in equine cardiology, working with equine practices across the UK and Europe for the last 8 years. 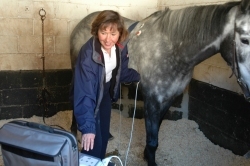 She uses top specification ultrasound and electrocardiographic equipment, allowing her to give a comprehensive assessment of your horse's heart either in the host clinic or at your own yard. Chris has considerable experience in equine dentistry at all levels. He has post-graduate qualifications in internal medicine and surgery and was the first vet in the UK to also qualify as an equine dental technician (EDT) in 2001. Chris teaches, lectures and examines widely on equine dentistry in the UK and worldwide. He is past chairman of the BEVA/BVDA examining committee for EDT exams, past BEVA Council representative for equine dentistry, chairman of the BEVA Dental Working Party for political aspects relating to dentistry - and winner of the coveted Pet Plan Vet of the Year Award for 2011, an achievement that the judges awarded in recognition of Chris’s work in equine dentistry and the beneficial effect on equine welfare. Chris is dedicated to advancing the science of equine dentistry and is particularly interested in novel restorative and preservative treatments. This has placed Chris at the forefront of equine dentistry worldwide. Associate lecturer in Veterinary Ophthalmology, Department of Veterinary Medicine, University of Cambridge CB3 0ES. 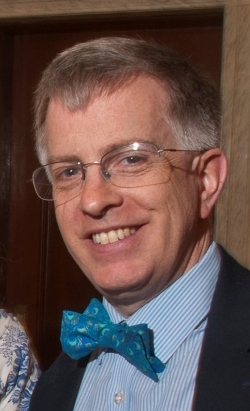 David qualified from Cambridge in 1988, knowing he wanted to devote his professional life to ophthalmology. Having worked at the Animal Health Trust and the Royal Veterinary College, London, gaining his Certificate in Veterinary Ophthalmology and a PhD, he returned to Cambridge, studied for his Fellowship of the Royal College of Veterinary Surgeons, a Certificate in Welfare Science, Ethics and Law and a doctorate in veterinary medicine. He now teaches ophthalmology as well as exotics and animal welfare at Cambridge vet school and travels to around 25 clinics to provide an ambulatory referral service. He particularly enjoys working with horses and their sometime perplexing eye problems!